My head’s a bit sore today. 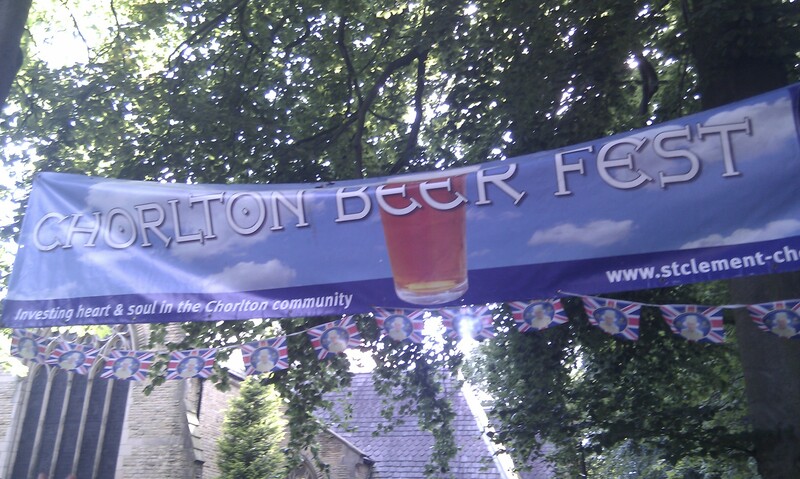 Yesterday was the eighth annual Chorlton Beer Festival at St Clement’s Church, run by CAMRA (Trafford and Hulme branch). Alarmingly, I’ve realised this was my fourth festival in a row. And the 2012 instalment pretty much followed the same format as all the others. Ciders and perries and beers – oh my! So there was a choice of over 100 different beers, ciders and perries on draught (82 beers, 25 ciders and 15 perries to be precise). There was a nice mix of golden ales, bitters, milds, porters and stouts – some of which had been specially brewed for the festival. And there was a point when they completely ran out of everything. 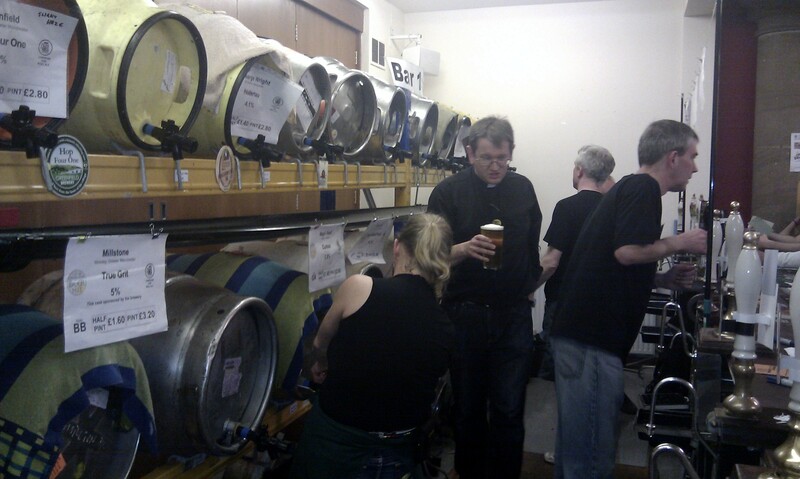 Serial festival-goers will know that Chorlton Beer Festival has a habit of running dry. To be fair, they managed to keep going till 845pm on Saturday (officially, the festival finished at 10pm), which was much better than previous years. 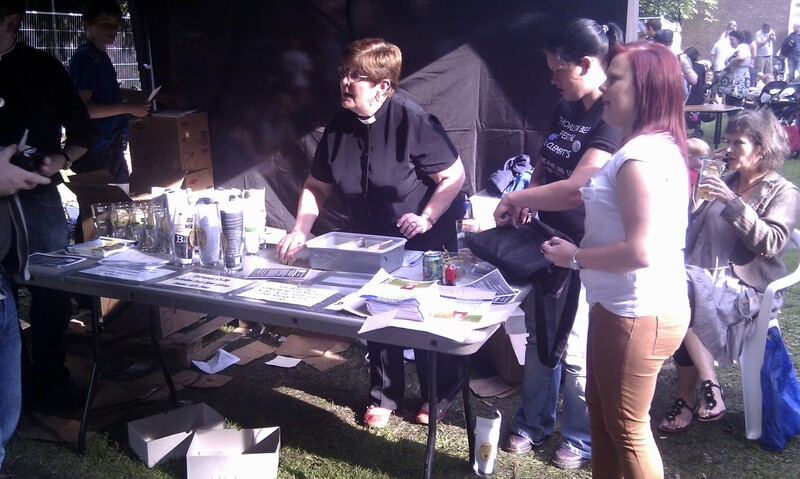 All in all, they sold a staggering 8,000 pints over 2 days – more than ever before – which one of the organisers told me was as much as they could physically fit into the church. So I guess we’ve got to let them off on that one. Tasting notes for ciders and perries – As a keen cider drinker, I was disappointed to find there were no tasting notes for ciders and perries again. While beer drinkers could revel in pretentious descriptions like ‘Pale refreshing juicy asparagus nose. Celery and nuts give way to refreshing bite at the end’, we were left with nothing more than a number from 1 (very sweet) to 7 (very dry). Master-classes – CAMRA’s full of passionate beer experts. Why not ask a couple of them to run workshops to teach people more about what they’re drinking? After all, it works brilliantly for the Manchester wine festival. 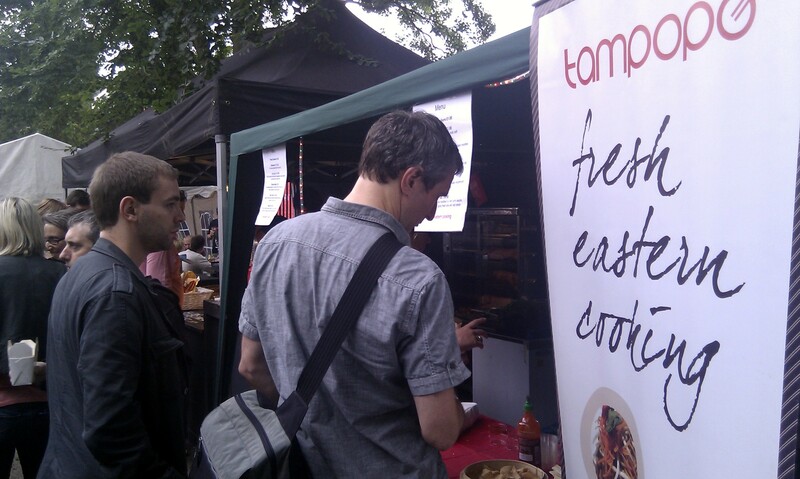 More food options – Why are Tampopo and Kro Bar the only caterers year-on-year? 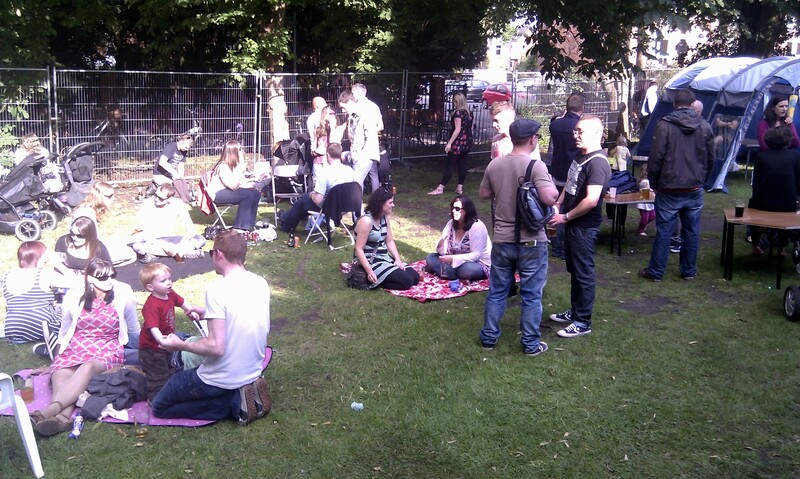 Minor gripes aside, I really enjoyed the 2012 Chorlton Beer Festival. Not least because the rain stayed away for the whole of Saturday (let’s not talk about Friday…) and most of the day was spent basking in glorious sunshine. You have some fair criticisms about the the fest. I’m in CAMRA and one of the volunteers but not involved in the logistics so I can’t comment on some of it. There was actually led cider tasting on Saturday just before we opened which was sadly not very well attended (one to keep in mind for next year if you’re interested). I’ll pass on your comments about cider tasting notes. We did indeed have more beer this year, a whopping 22% infact and we still ran out, each year we order more and it’s proven not to be enough. 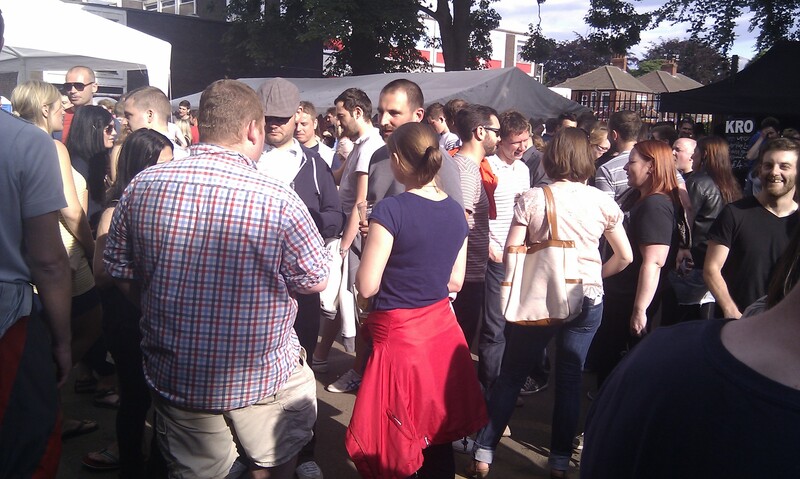 It’s obvious Chorltonites and Mancunians in general love their beer but also testament that the Chorlton Beer Festival has a unique feel as it continually exceeds our estimates. The hall has pretty much reached capacity now as I’m sure you could tell by the wait to get served. One thing to keep in mind also is that we can’t simply buy a few more casks since real ale is live it takes a minimum of 3 days to settle before is ready to serve. Master-classes is a great suggestion which I’ll bring up with the branch, I’m not sure where we could hold this as there are parts of the church which we can’t use, but I agree it would be a good addition for the festival. Good stuff going on .. well done. We’d be interested in co-hosting your beer making masterclasses. Cracking Good Food (www.crackinggoodfood.org) is a Chorlton based community cooking network where we cook up locally sourced seasonal good food from scratch. We run foraging sessions too and have run elderflower champagne / cordial sessions & are planning on making Sloe Gin from foraged fruits this November etc.. If you’re interested in collaborating with us contact me : adele@crackinggoodfood.org . Check out our FB site and blog http://www.crackingcooks.blogspot.co.uk for fuller information as to what we do around Greater Manchester.